A small, but enthusiastic group of leader, parents and kids participated in the 2015 Relay for Life held at Rofe Park. 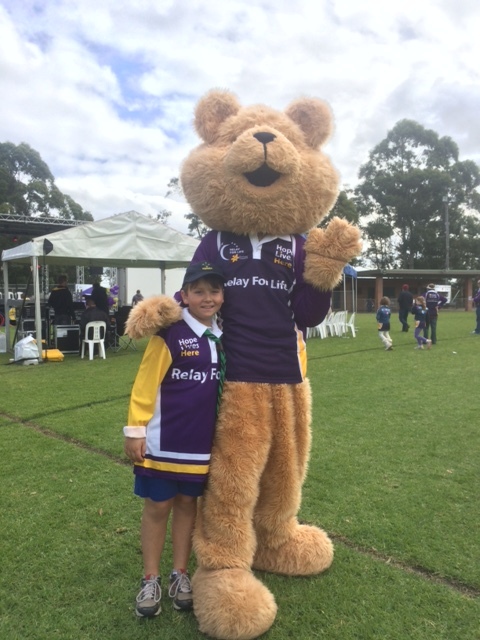 The Relay for Life is a 24hr walking event with attendance by local community groups and supporters. Dance acts, bands and jumping castles kept the walkers entertained. The group raised over $250 for the event. The very worthy cause is already in the diary for 2016 ! 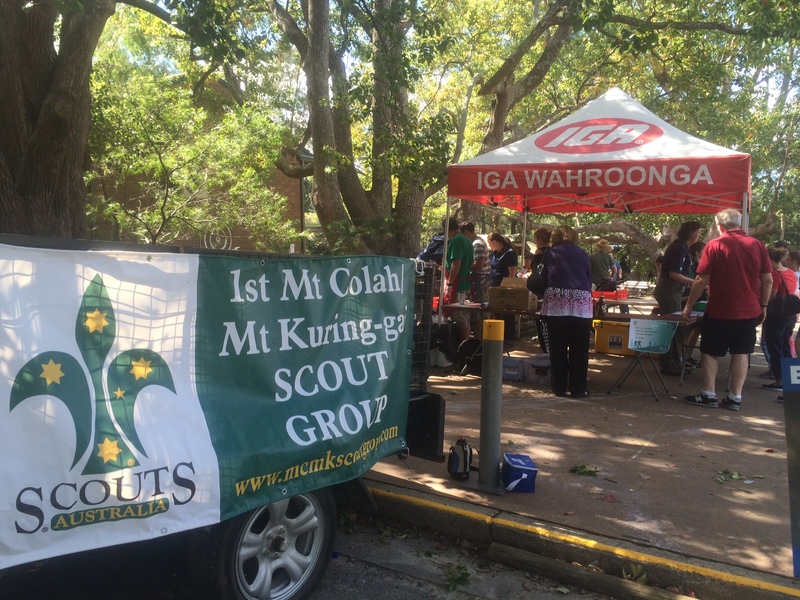 The NSW Election has been run and won and the people of Mt Colah have been well fed thanks to the efforts of the Scout Group. Bacon and Egg Rolls flowed from 7.30am quickly followed by Sausage Sandwiches all the way through to 3pm. 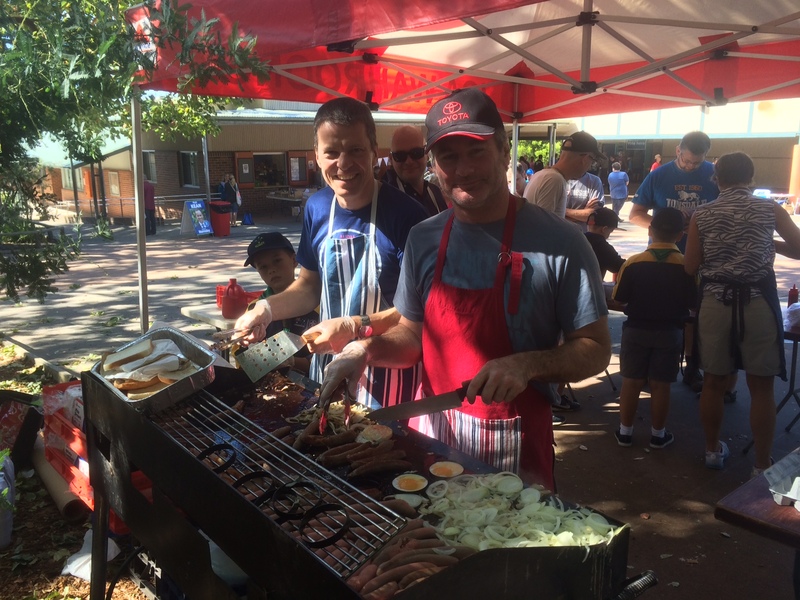 Our wonderful community of families filled the roster and the BBQ was roaring all day with over 150 Bacon and egg rolls and 400 Sausage Sandwiches sold. 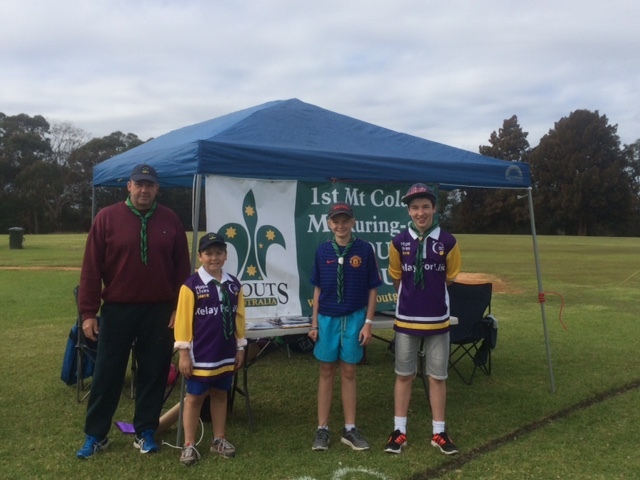 All money raised goes straight back to the group to help purchase much needed equipment for each section as well as assisting our Scouts that are attending the Jamboree. 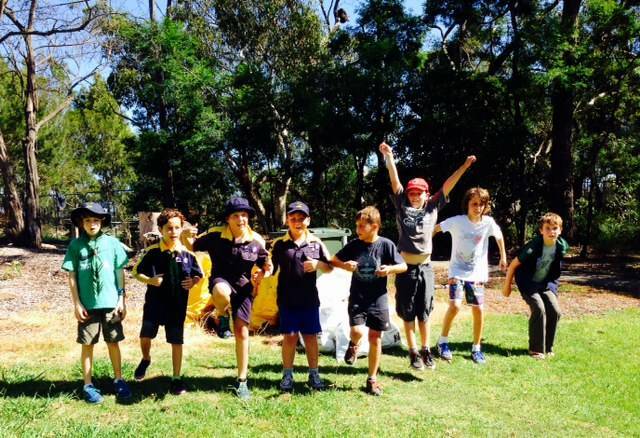 On Sunday the 1st of March, a dedicated group of Cubs spent the morning cleaning up our great suburb for the annual Clean Up Australia Day event. In all 11 bags of recycling and 6 bags of rubbish were collected around the Scout Hall, Railway Station and Community Centre. 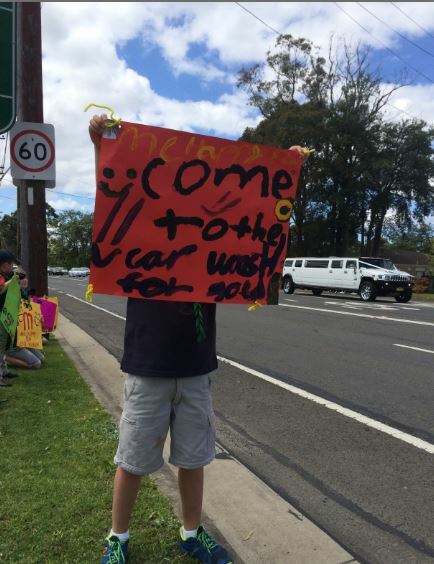 Well done cubs, our suburb is sparkling ! 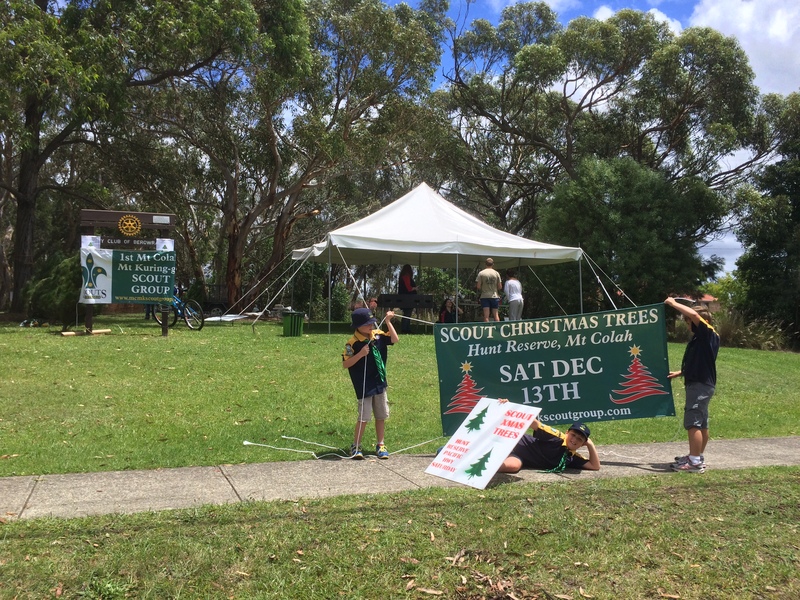 The 2014 Christmas Tree fundraiser was held on Saturday 13th December at Hunt Reserve, Mt Colah. The event is the major fundraiser for the group for the year. Funds raised are used to support all sections in the group. All trees were sold and most families in the group volunteered time to sell trees or wave a sign. The Rover crew kept the customers and volunteers fed and watered with a BBQ. A raffle was run for one lucky customer to ‘Win their money back’. The raffle was won by the Hancock family of Berowra. See you in 2015 ! 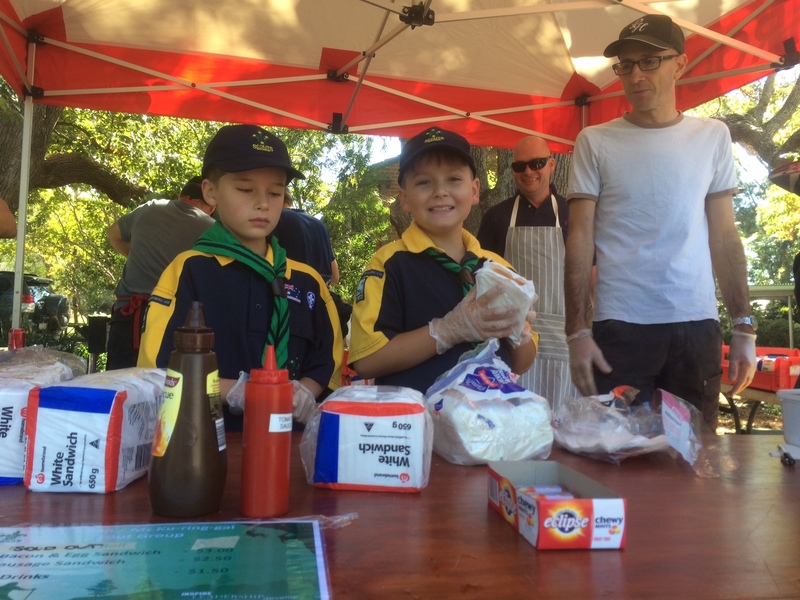 Today our cubs participated in the Benowie Cub Challenge at East Wahroonga Scout Hall. A great day was had by all and the cubs have brought back new skills to teach their six and the whole pack. 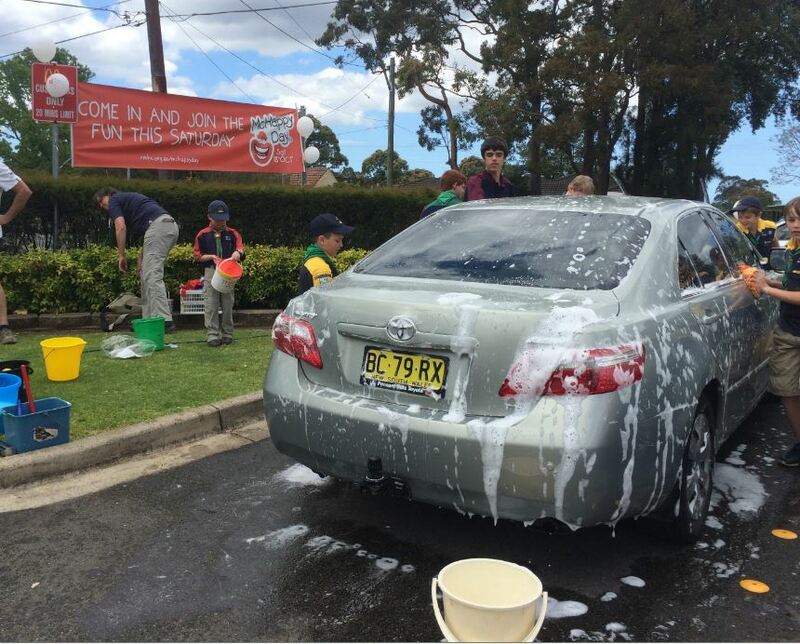 Today, we headed to Mt Colah McDonalds to help raise funds for McDonalds McHappy Day. Cars were washed for a donation with all funds going to the Ronald McDonald House Charity. A total of $376.90 was raised. The temptation for a water fight was too great for some, but fun was had by all ! Our year has been a very busy one: We have been running our term plans and they always have been full of fun and adventure for our Cubs. We have tried to introduce more achievement badge activities into the regular Tuesday nights. This was at the Cubs request via pack council. We have run some of our programmes with our Venturer pack (Rock Climbing). We have attended district activities, ten pin bowling, BMX days, Scout out and Region Fun Day. You would be aware that Cuboree was held in January this year with 13 Cubs attending. 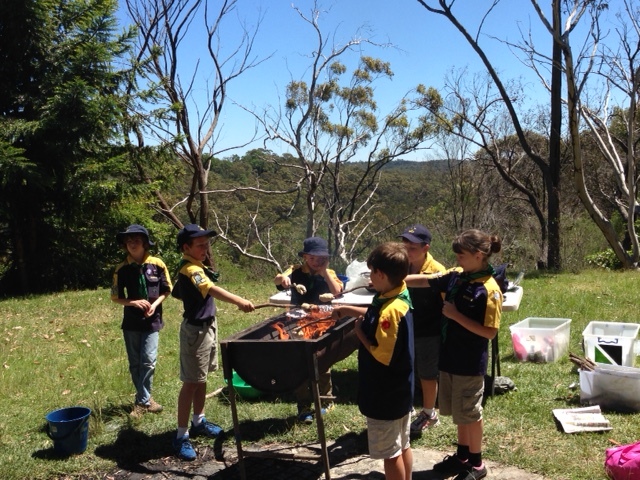 For this event we grouped with Berowra Cub Pack. It was great success with kids and leaders having a good time. Our Campsite was called Pluto (Space theme). During the Cuboree there was a talent night to which camp Pluto won. We were then given the privilege of performing at the closing ceremony. Our boomerang work this year has been a real success with more Cubs receiving their badges than any other year, many thanks to Karen for all her good work. Also we have two more new Leaders this year that started their training and have already made things easier in our Pack. They are Fletcher ROCK and Rowan KLEIN. I wish them all the best in their Scouting career and I am sure everyone will make them welcome. Our Pack is very strong, at the moment we have 18 Cubs and 6 Leaders which makes us the envy of other Packs. The pack consists mainly of 8-9 year olds. We have 3 Cubs turning 11 this year and by all accounts they will be heading to Scouts. Each term we have a weekend bushwalk along one of the local trails. 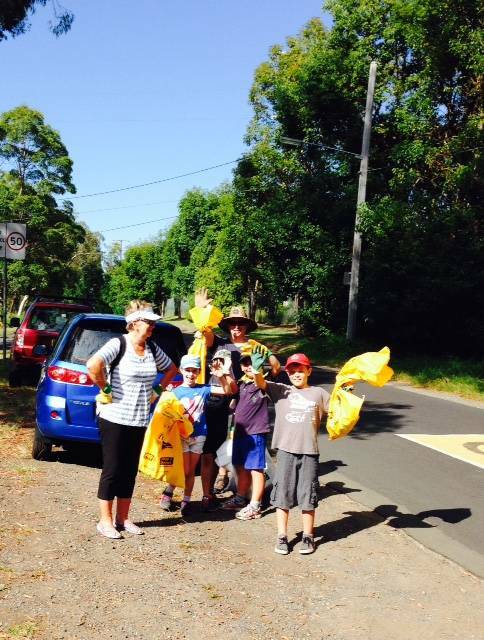 Last month we walked the Hornsby to Crosslands trail and had 18 kids and parents come along, a great turnout for Sunday morning. We have been going on small walks around the new hall on Tuesday nights, last week we walked to McDonalds brought an ice cream and walked back. The Cubs said that was the best night and could they do it again. The Pack went to Brooklyn to assist in their Anzac Day Service. It was raining and cold but those who came along helped set up the chairs and hand out programs. 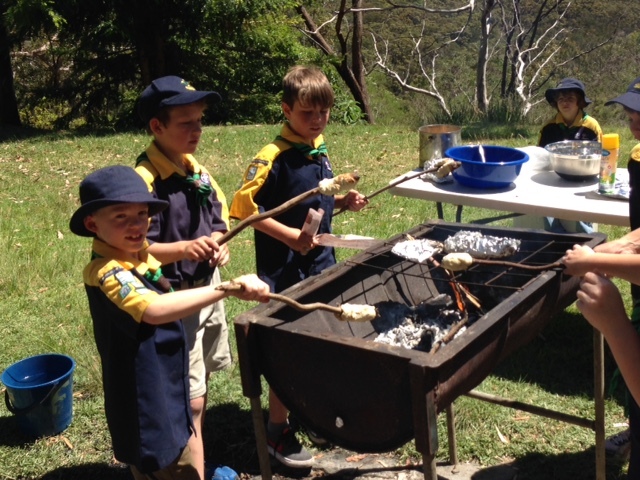 This year the Cubs had Jamboree of the Airways at Asquith Scout Hall. This was a unique experience with Cubs talking to other Cubs from around the world. I would like to thank Wombat and the committee for all their hard work throughout the year. In closing the pack in my opinion is in a strong position for the coming year, we have a young pack with a core of about 16 Cubs that attend week in, week out. The Cubs enjoy each other’s company and are only too keen to play games and seek out new adventures. Cubs this year has been as busy as ever with programmes working well and boomerang work completed. We competed in all of the district activities, coming first in the BMX and swimming carnival. We also took out both Iron Cub events. Cubs are getting ready for the fast approaching Cuboree in January 2011. It should be a fantastic event as always. I have attended two Cuborees and a Jamboree and had a ball each time. still doesn’t know what a computer is, but I am learning. Our other two leaders, Paul (Rama) and Jeff (Chill) have now completed their BL3 which now has them finishing their training. Congratulations to them both. We also have a venturer, Lauren (Rikki) helping out each week. Thankyou Lauren. Term 2 saw me passing the baton of Akela to one of the other leaders. After a lot of thought it was time for someone else to have a chance. Funny thing, I became Akela in March 2004 and the hall burned down in July 2004. I pass down the position when our new hall has started. I must hold the record for the most Cub pack meetings outside of our own hall. Yahoo. I will be staying on to help out for a while yet though. I would like to thank all the parents and past leaders who have helped me through my time as Akela. I have really enjoyed it. Most of all I would like to thank all those Cubs throughout the years who have made it all worthwhile. I feel very proud when they still call me Akela.